Have Mercy on Me, My Soul! The following poem illustrates the work of Antahkarana – the bridge between lower self and immortal soul -, when it is seen from the point of view of one’s terrestrial efforts to attain wisdom. The verses strongly resonate with the original teachings of esoteric philosophy. As examples of the theosophical identity and meaning of the poem, it is enough to mention here a few sentences from the classical work “The Voice of the Silence”, translated and annotated by H.P. Blavatsky (Theosophy Co. edition). 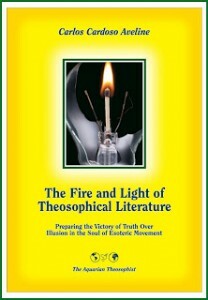 That masterpiece of theosophical literature belongs to Eastern esoteric schools. Indeed, an expanded contact with our immortal soul must take place on universal levels of consciousness and compassion. The poem “Have Mercy on Me, My Soul!” is reproduced from pp. 17-19 of the book “Tears and Laughter”, by Kahlil Gibran, The Wisdom Library / The Philosophical Library, New York, 1949, 94 pages. Why are you weeping, my Soul? For I know not my wrong. Until when shalt thou cry? Your desires, and your instructions. Why, my Soul, are you all-demanding? For justice is your glory. Have mercy on me, my Soul. And I are inseparable weakness. Between the strong and the weak? Ever the light invade darkness? This, my Soul, is perplexing. And he cannot go quickly. This, my Soul, is sadness. Him, and he does not appreciate you. This, my Soul, is misery. And he does not obey. This, my Soul, is extreme suffering. The bitter victim of hope and separation. This, my Soul, is agonizing torture.